Jodie Williams has announced a change in training set-up and an individual event focus ahead of the Olympic Games in Rio next summer. The European and Commonwealth 200m silver medallist has turned down relay funding and her spot on British Athletics’ World Class Performance Programme (WCPP) as she looks to concentrate on the 200m and 400m. While still working with her coach in the UK, Christine Bowmaker, Williams is set to spend time training in Arizona with Altis, formerly known as the World Athletics Center. “I have been fortunate to have been a part of the WCPP for the last two years,” said Williams, who also claimed European 4x100m gold and Commonwealth sprint relay bronze in 2014. “However, having missed out on the last Olympics through injury and a few setbacks since then, I have made the decision to focus all my efforts into ensuring that I make individual selection for Team GB in Rio. Further explaining her decisions in a blog post, the 22-year-old, who enjoyed great success as a junior athlete but has struggled with injury problems more recently, said: “I feel over the last few years I have not reached my full potential due to injuries I have sustained and want to put my full and undivided attention into staying injury free and making the most out of this Olympic year. Unfortunately this decision does mean not taking part in the 4x100m relay this year. The relay programme is quite extensive and I do not feel it would be right of me to take relay funding whilst knowing I can not fully commit to it and give my absolute all to the team! “Another thing that came in to play in my decision is the slight change in event I want to make for next year,” she added. “I will be moving up to more 200/400 with my main focus still being on the 200. I do feel my strengths lie more over the longer distances and I am very interested to see where this will take me. 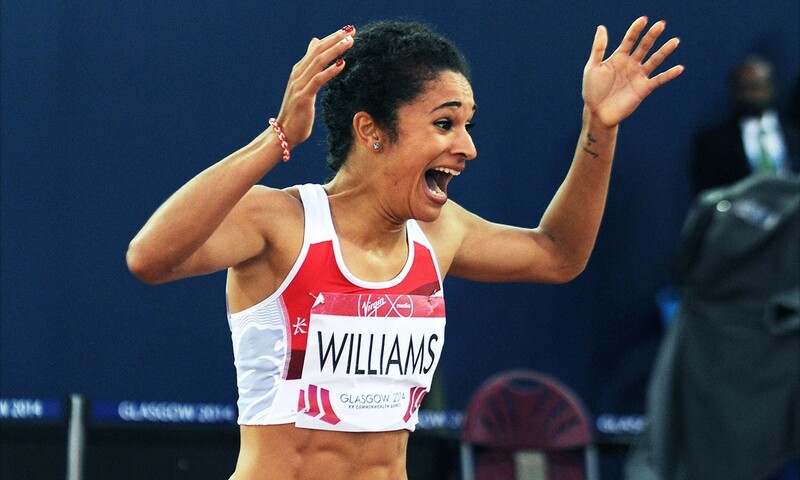 Speaking to AW in October, Williams highlighted her intentions to focus on the 200m as well as possibly break into the 4x400m squad for Rio. “I’ve always been told I’m eventually going to end up as a 400m runner,” she told AW. “I don’t think I’ll ever be an individual 400m runner but my training is naturally based more towards the 400m anyway so I thought I’d give it a go this year. I enjoy the training and the longer sprints now. “I think raw sprinting takes a massive toll on my body and that’s when I seem to get injured so I think for me to take that load off my body a little bit it makes more sense to focus on 200/400m instead of 100/200m this year, and see how it goes,” she added. British Athletics performance director Neil Black commented: “We fully respect Jodie’s decision to focus on her individual event ahead of the Olympic Games next year.